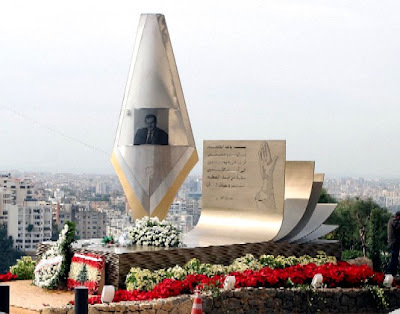 This statue was constructed at the exact spot of the car bomb that claimed the life of slain journalist Gebran Tueini, God rest his soul, exactly one year earlier on Dec. 12th, 2005. It was unveiled yesterday in the presence of journalists and leading political leaders, including ministers, senior March 14 Forces members, Free Patriotic Movement MP Ghassan Mokheiber and former Speaker Hussein Husseini. Irrelevant to Lebanon but soooo worth reading! I concur!!! where do I sign? Lann Nansa... (we will not forget)!